Every so often an episode comes along that I could listen to ten times, and this is one of them: Episode 115 of The Thoughtful Travel Podcast is about a topic that I find so intriguing and only have a little bit of experience with. I’ve travelled in a Muslim-dominated country like Tunisia and visited others briefly but have never spent serious time there – not for lack of wanting to, it just hasn’t happened (yet)! So in this episode about travelling to Muslim countries I am fascinated by the differences and similarities between these three travellers’ experiences, and pondering how I would approach my next visit to a Muslim culture. 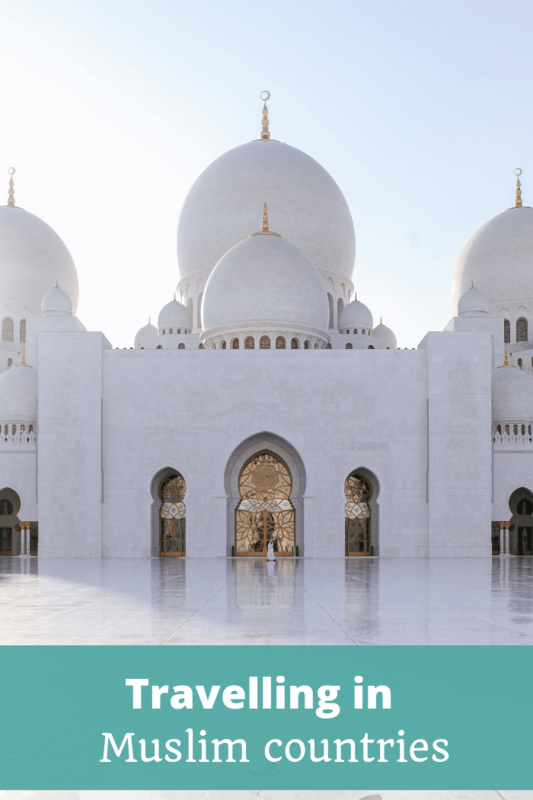 I’m always fascinated by cultural differences and if you’re travelling in Muslim countries there can be quite a lot of customs that are different to my home country of Australia. In Episode 115 of The Thoughtful Travel Podcast, I’m bringing together stories of travelling in various Muslim countries from three guests who’ve all had interesting experiences. First up, I talk again with Eva Westerling, who talks about experiences she’s had in three different places – Zanzibar, Morocco and Oman. It’s interesting to hear about what she’s done to fit in while she’s travelling in Muslim countries and how she’s found this strategy to work for her. Following Eva, I chat with Kate Toon, who has an interesting angle as she’s travelled in Tunisia accompanied by her Tunisian husband. You’ll have to listen to find out some particularly surprising reactions! Finally, I’m joined by Margarita Pas who discusses her experiences in Tunisia and in the Maldives, and she has plenty of tips for how people can look and behave respectfully when travelling in Muslim countries.